January 3, 2019 - Charges have been filed against a suspect arrested in the fatal shooting of a man at 6334 Ivyknoll about 11:45 p.m. on December 11. The suspect, Mohamad Alajil (w/m, 18) is charged with manslaughter in the 232nd State District Court. He is accused in the death of Christian Estes-Johnson, 19, who died at the scene. 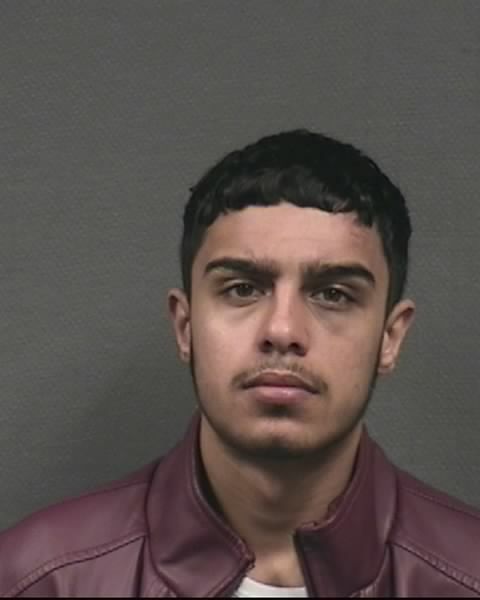 A booking photo of Alajil is attached to this news release. Mr. Estes-Johnson was inside his bedroom at the above address and was heard arguing with two other males when a gunshot was heard. A person in the home went to investigation and found Estes-Johnson deceased. The person attempted to detain the two males in the room. Following a brief struggle, the males fled the scene. Further investigation and additional witness statements determined Alajil and Estes-Johnson were playing a game known as "no lacking challenge", in which one person points a loaded weapon at the other who, in turn, is expected to point his loaded firearm in return. Alajil pointed a semi-automatic pistol at Estes-Johnson who then pointed an AR-15 at Alajil. At some point, Alajil's pistol discharged and Estes-Johnson was struck by the gunfire. Alajil was taken into custody on Wednesday (January 2) without incident and subsequently charged.